VET Graduates outperforming University counterparts! With all the controversy the last few years around the vocational education sector, it is no wonder that individuals when planning career entry, or a career move, are left scratching their heads about quality, job prospects and career earnings; with VET too often considered the poor second cousin to University entry. The good news is that perception is not in synch with reality! According to the McCrindle report for Skilling Australia ‘Myths, realities & the critical role of vocational education & training in Australia (May 2017) the VET sector continues to deliver excellent results and superior job outcomes for its students! When compared to employment outcomes for university graduates, VET continues to produce far better results – proving itself as an adaptable, flexible and accessible for education and skilling individuals. Three fun facts about VET graduates! Research by McCrindle (May 2017) has documented the median full time income for a University graduate with a Bachelor degree is $54,000 compared to a VET Graduate at $56,000. Individuals working in traditional trade areas and industries of high risk earn more than a graduate Dentist for example. VET graduates have a higher employment rate than university undergraduates, with 78% of VET graduates employed after training. With higher University enrolments than ever, the Bachelor degree graduates obtaining full time employment post graduation is continuing to fall at 69%. 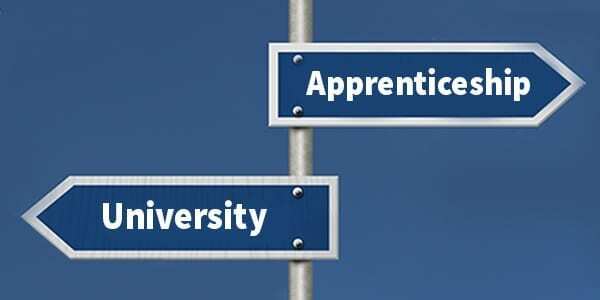 Comparatively, 78% of graduates are employed after training, with the number increasing to 82% for individuals who completed an apprenticeship or traineeship, and as high as 92% for those who undertook a trade apprenticeship. With the Department of Employment predicting workforce occupations in demand over the next five years; the VET sector provides training courses for 9 out of these 10 in demand occupations. This includes the need for General Sales assistants, Aged and Disabled Carers, Child Carers, Accountants and Chefs. At Novaskill we are proud of our links with industry and ability to provide education and training that produces highly skilled graduates with employment outcomes and remuneration comparable to those of University graduates. VET is a winner! It provides individuals with a faster, more cost effective pathway to complete a qualification and enter the workforce. It is with increased enthusiasm and continued advocacy that perception may finally catch up to the reality that VET is BEST.